Are you willing to stop identifying with ’your story’ and step into the all encompassing, uncontrollable mystery of Life? On weekly uploaded videos Vera reflects on a question she got from you. Looking from an energetic level and non-dualistic point of view, Vera has the ability of lovingly confronting you with your misconceptions about who youtruly are, about your projections and about how this reality functions. Vera’s aim is to give insight and tools, enabling the shift to a more congruent life, and increasing understanding and enjoyment of what one attracts in ones life. Do you want to meet Vera live? She will speak on some events in the UK, Europe and USA this year. It is also possible to join or host a 'living room gathering' everywhere around the world. Check our website on active dates or register to our newsletter to stay updated. Vera's book 'Efflortlessly being yourSelf' has been a great succes in The Netherlands. The English translation is now available online and soon in all bookstores. It's a non-duality step by step guide to your natural state of being, in which life is no longer about securing the safety of your ego, struggling with nasty feelings and grabbing what you think will make you happy. This book is about relaxing and effortlessly being your true self so you can live to your fullest potential. 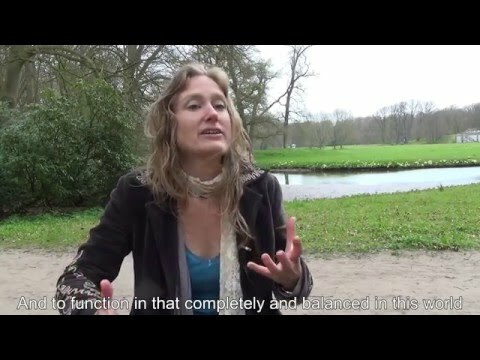 Dutch DJ / radiomaker and manager of www.nondualiteit.nu interviews Vera about the three layers we can experience ourselves at and the informative power of emotions. In this audiofile Vera explains how our thoughts, beliefs and emotions are our equipment to manifest. What phases are we going through from the moment we fall in love until we are in a relationship. And how do we transform this relationship when we reach spiritual maturity?